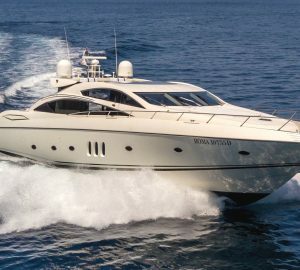 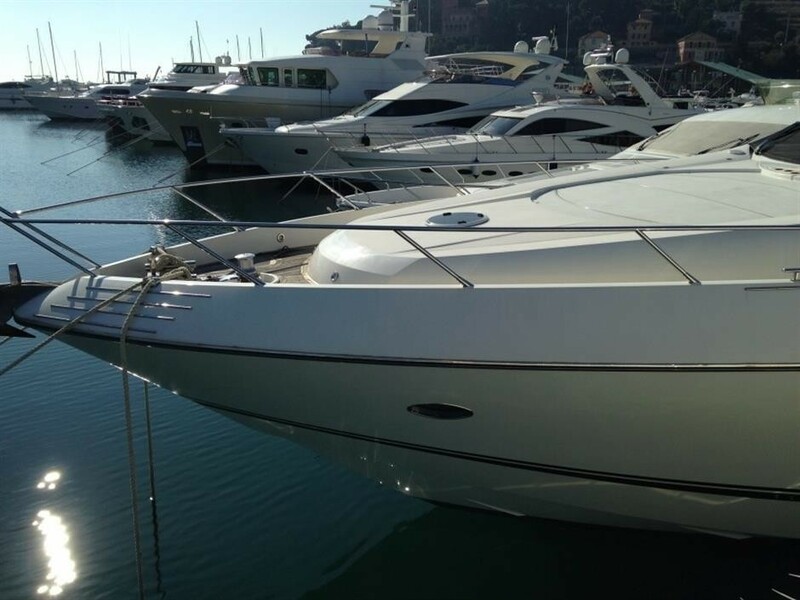 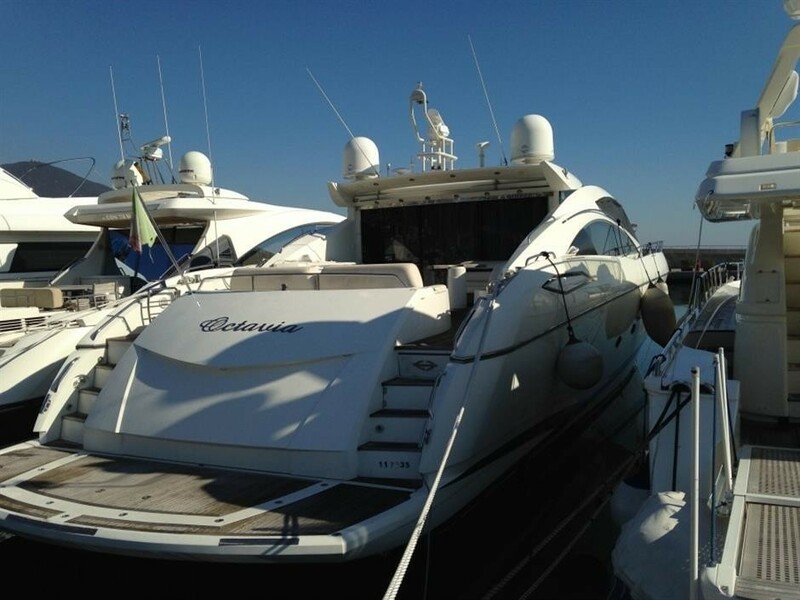 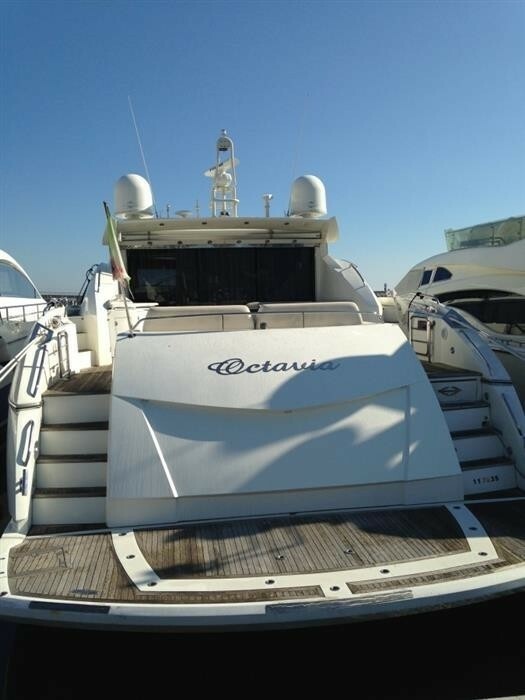 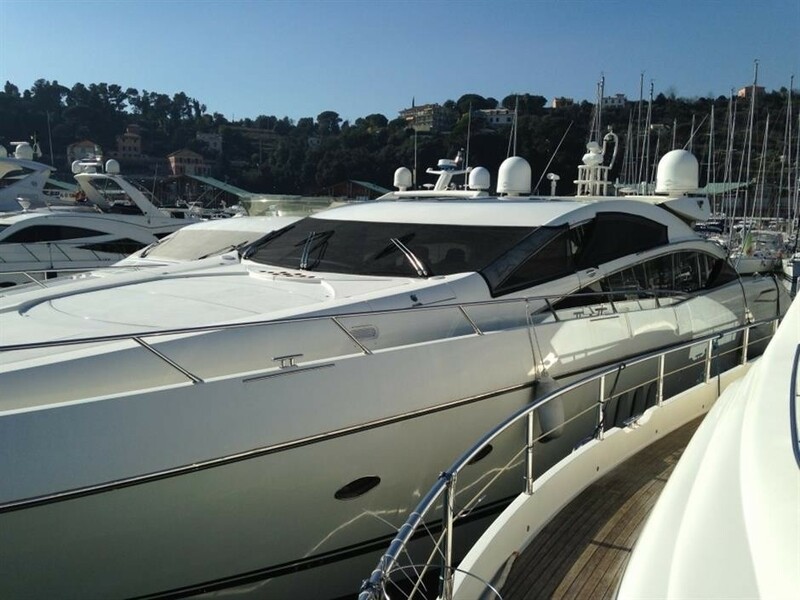 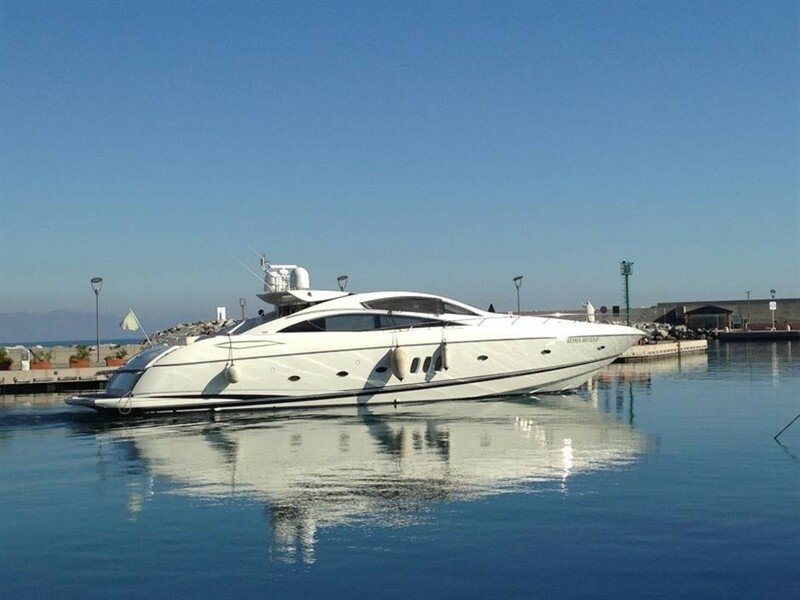 The Sunseeker 82 motor yacht OCTAVIA was launched in 2006 and refitted in 2015. 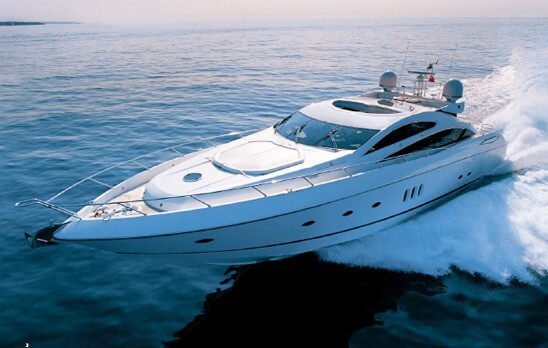 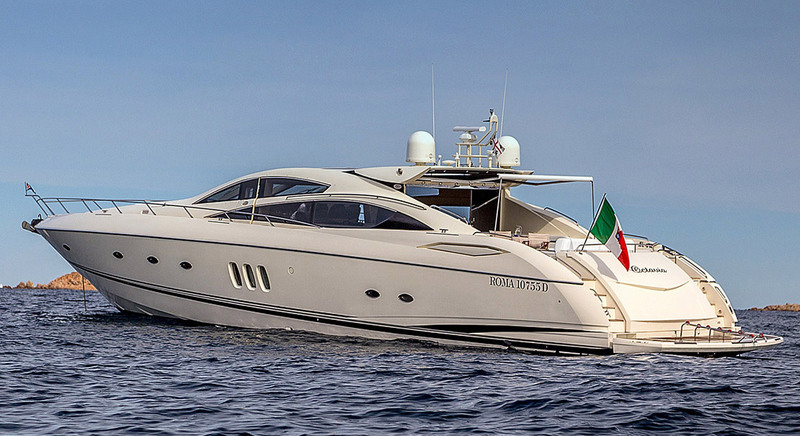 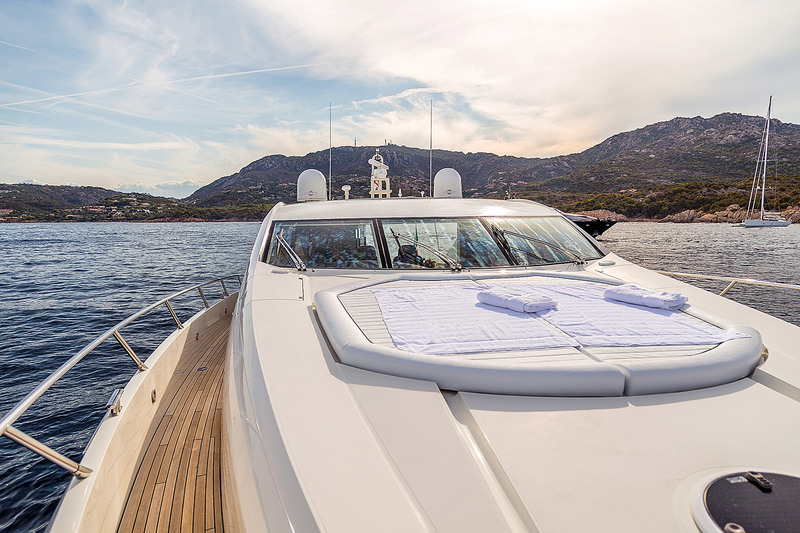 At 25m (82ft) in length, the yacht offers accommodation for up to 8 charter guests. 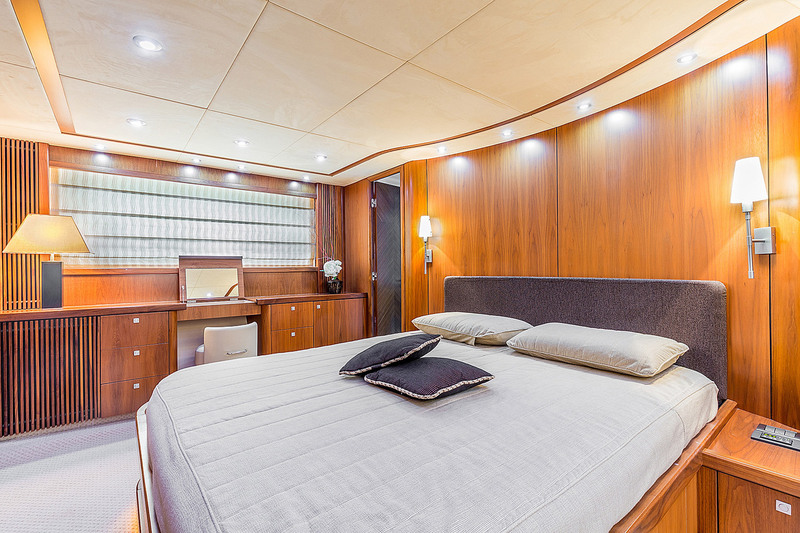 M/Y OCTAVIA has well-appointed interiors. 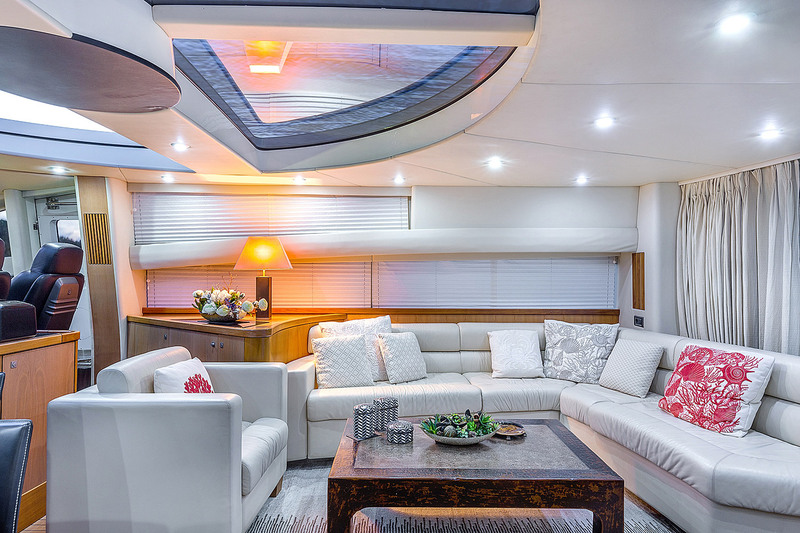 The open plan salon and dining is contemporary and stylish, featuring crisp white leather soft furnishings, a large coffee table, full entertainment facilities and surrounding elongated windows, boasting plenty of natural light. 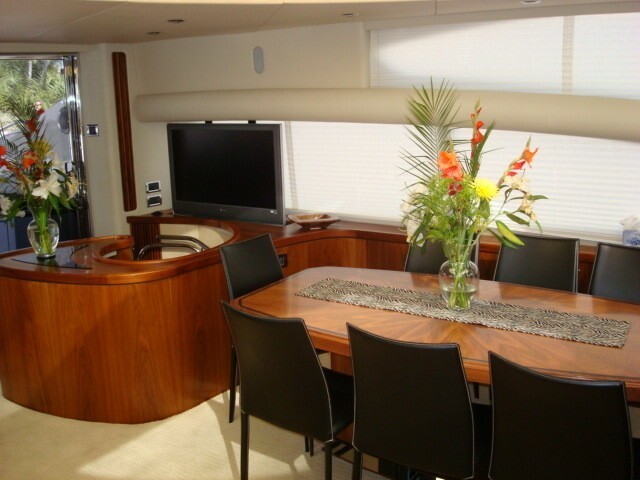 The formal dining table forward is perfect for elegant dining or casual lunches. 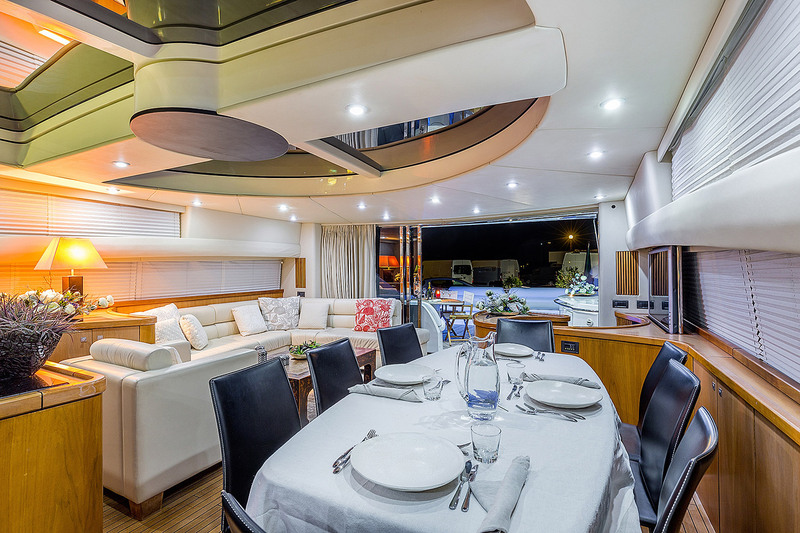 An overhead retractable roof allows in further fresh breezes and beautiful starry nights. 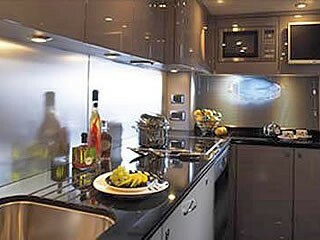 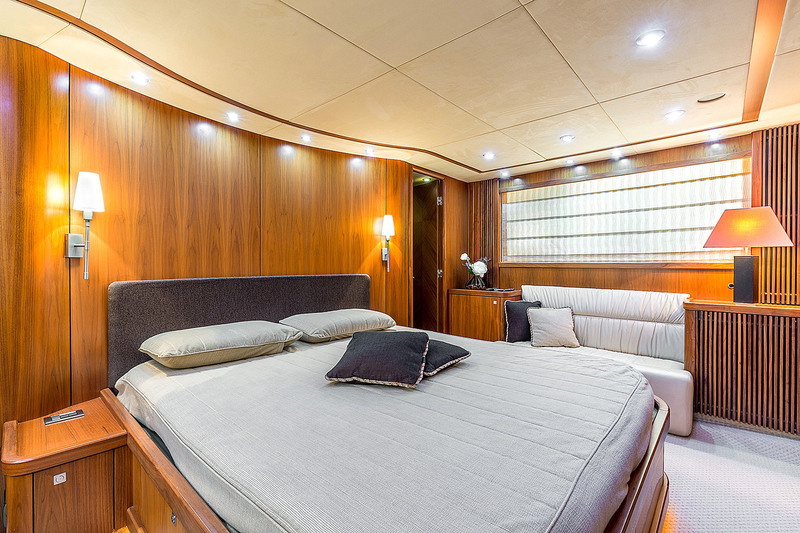 Below decks, accommodation is in 1 master cabin, 1 VIP cabin and 2 twin cabins, each offering private en-suites. 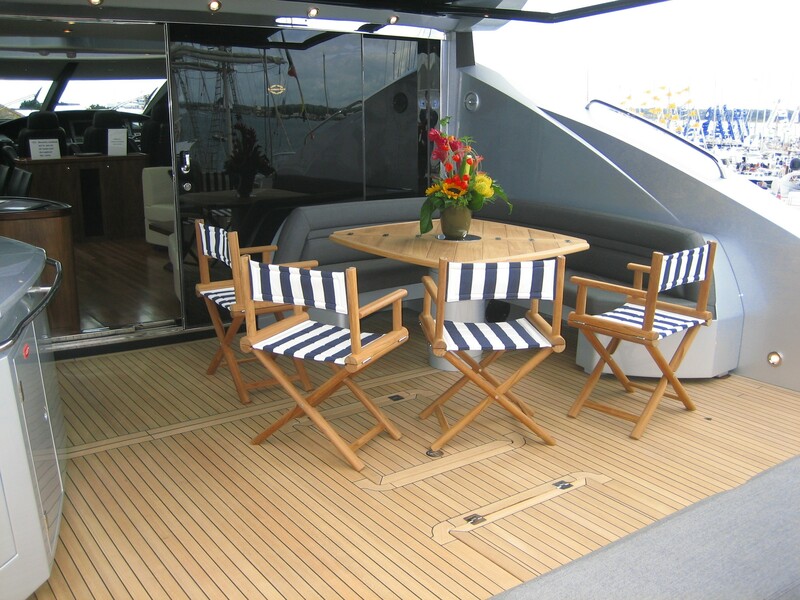 Exterior living is generous and ideal for relaxing and socializing. 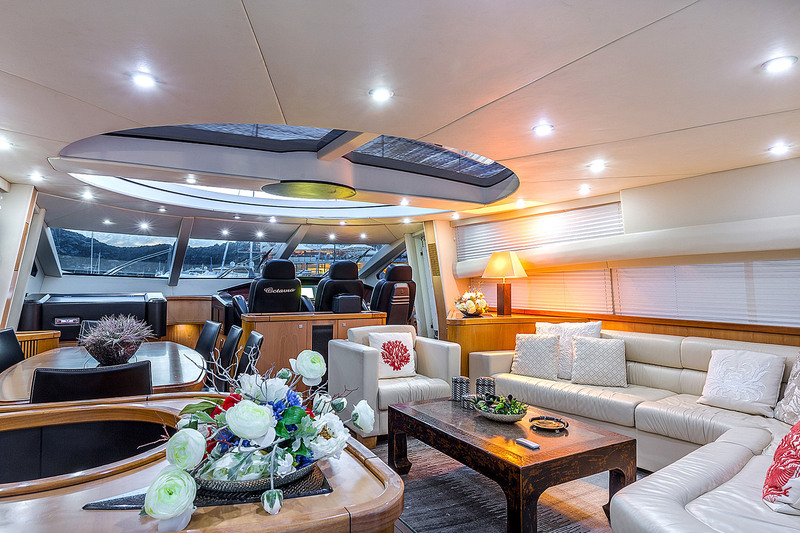 The aft deck is adjacent to the salon and has an alfresco dining table, seating, sunpads, wet bar with service station, and an extendible Bimini for optional shade. 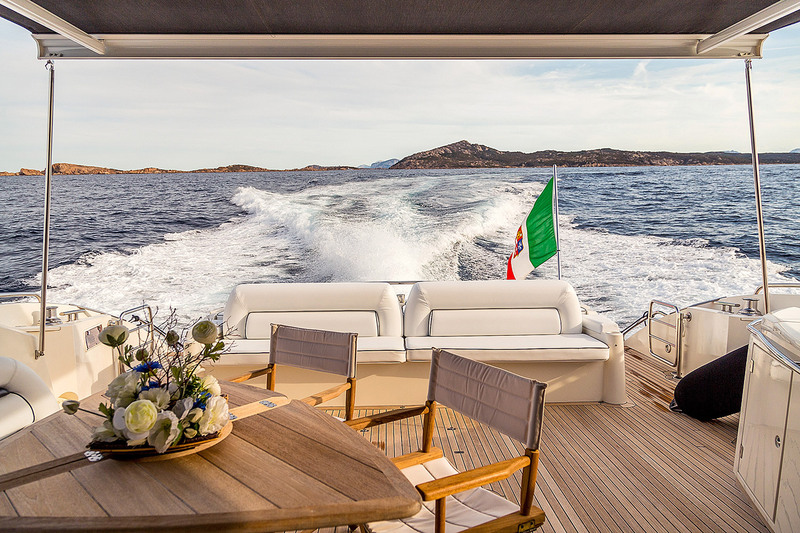 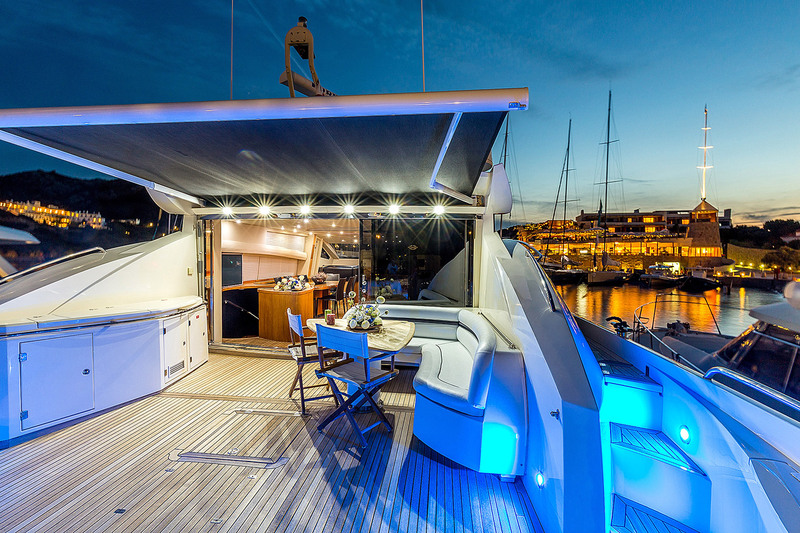 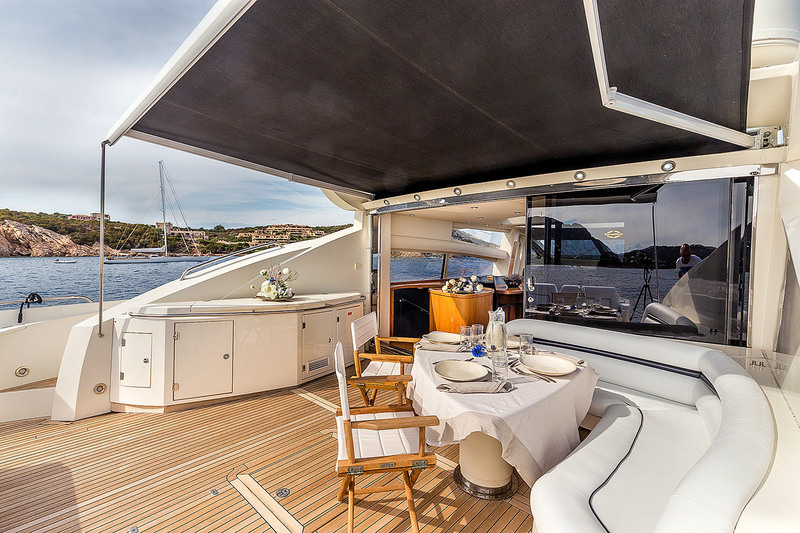 Dual port and starboard steps lead to the aft section of the yacht, where water access is made easy, thanks to a state of the art hydraulic swim platform. 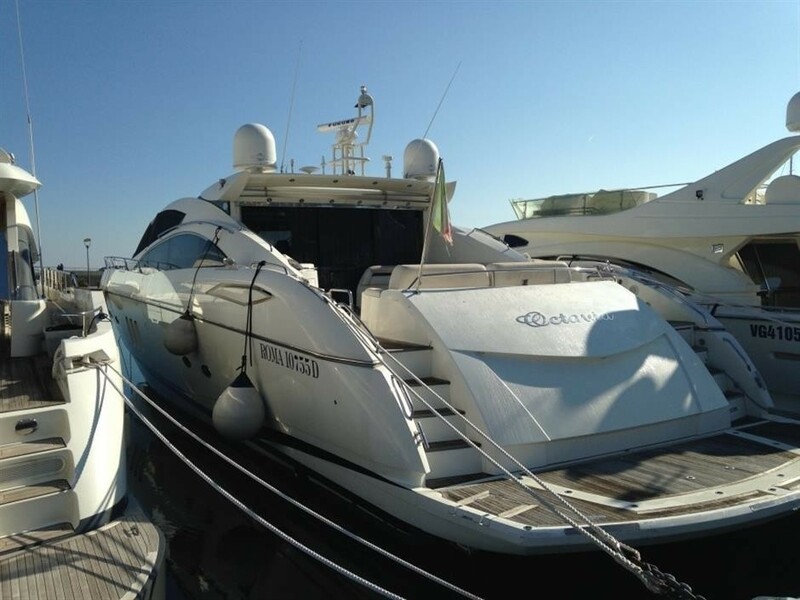 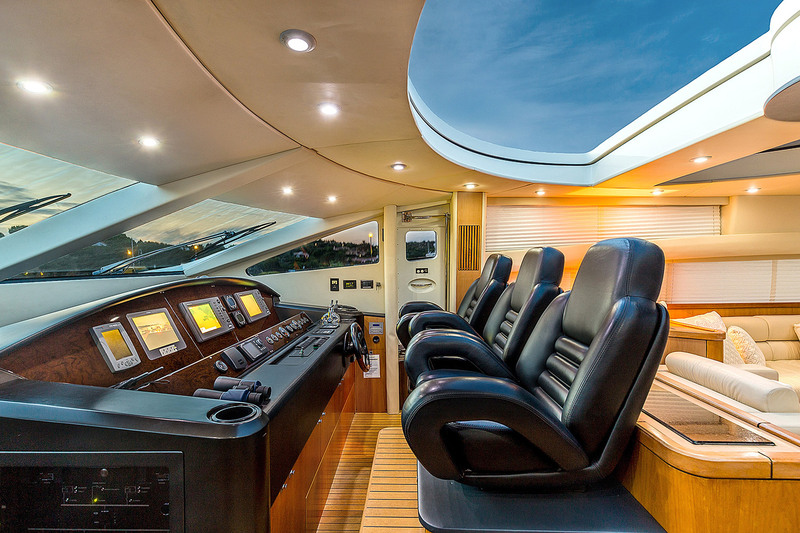 Sunlovers will find the spacious foredeck and ample sunpads perfect for soaking up the warm sun rays. 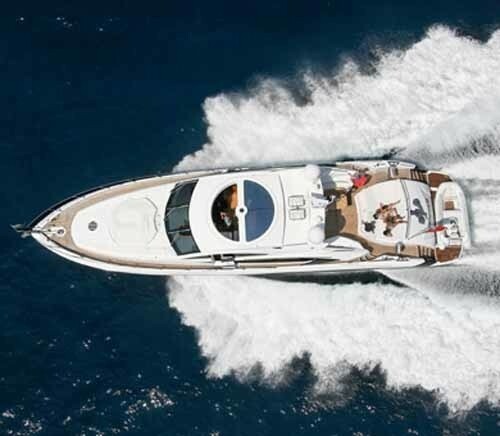 Powered by 2 x CAT 1680hp engines, motor yacht OCTAVIA’s planing hull cruises at 24 knots. 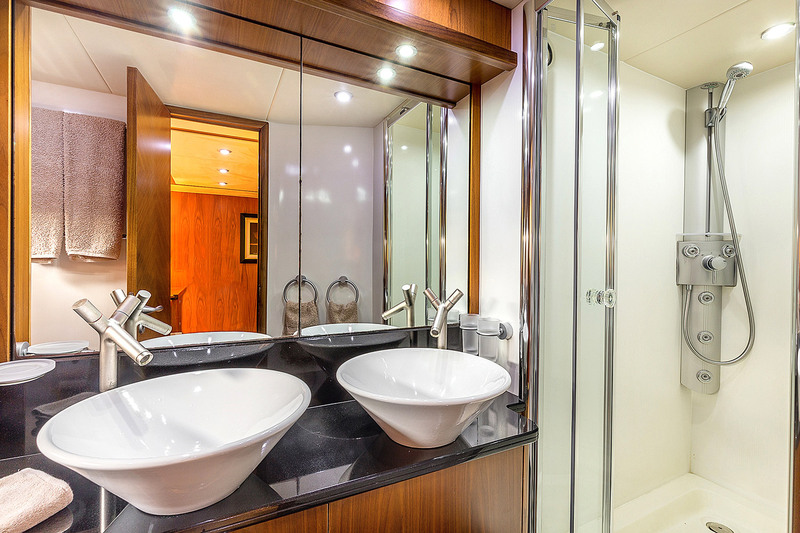 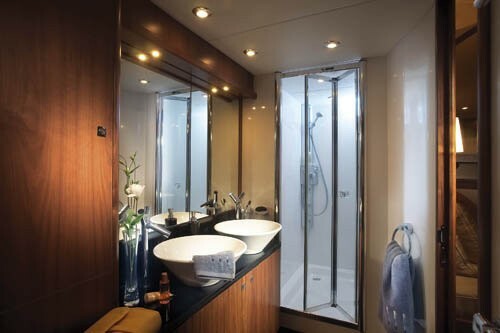 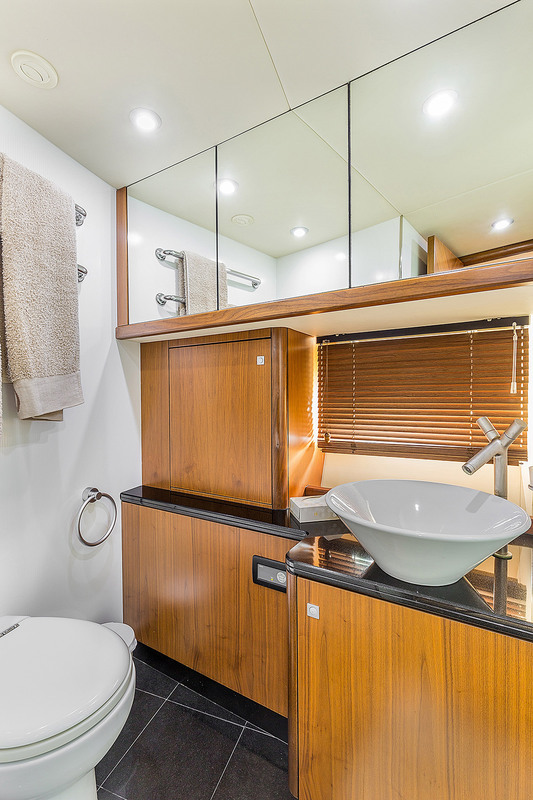 Below decks are 4 guest cabins, each with private en-suite facilities. 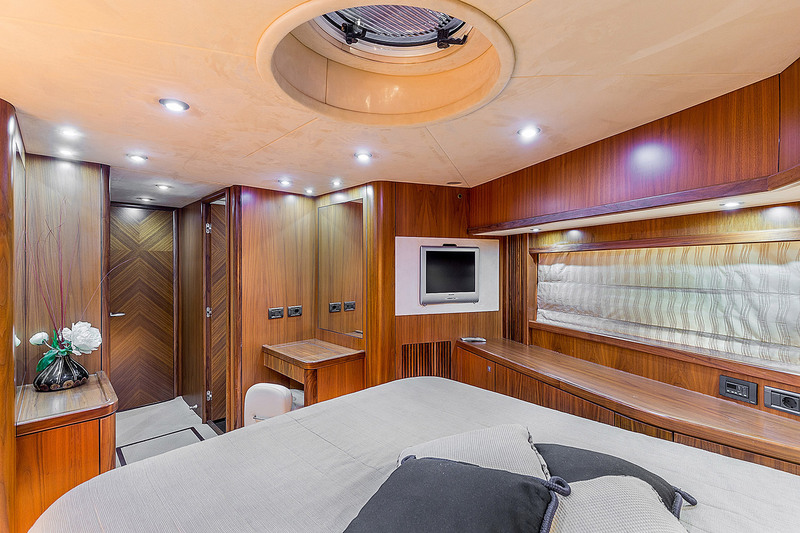 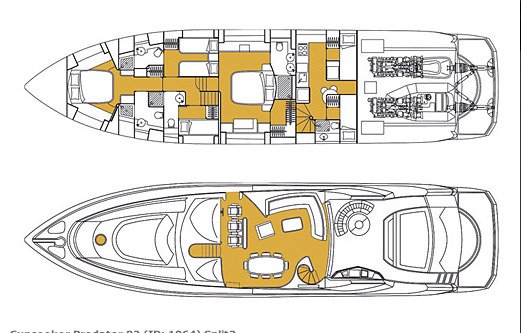 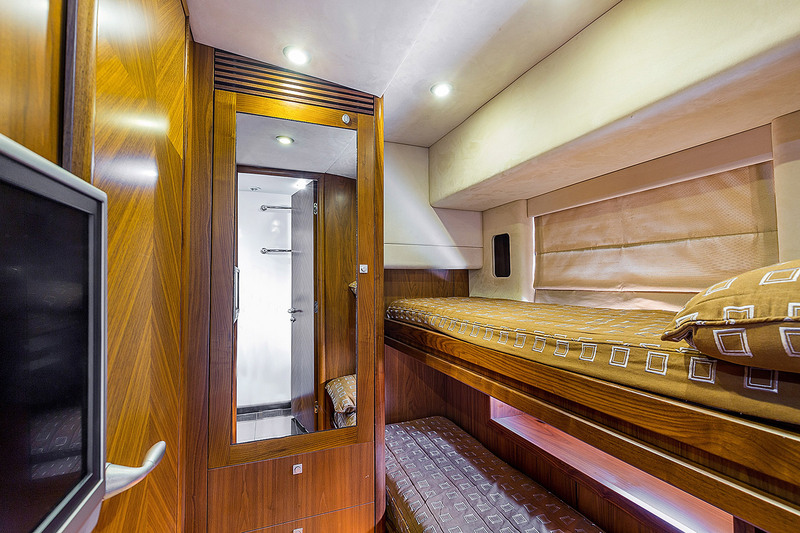 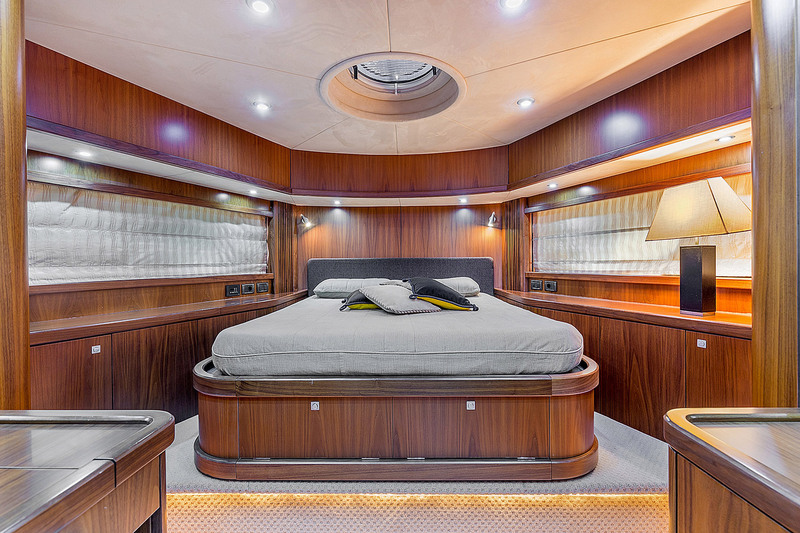 The master cabin is a full beam layout amidships, offering a king size center lined bed and walk in wardrobe. 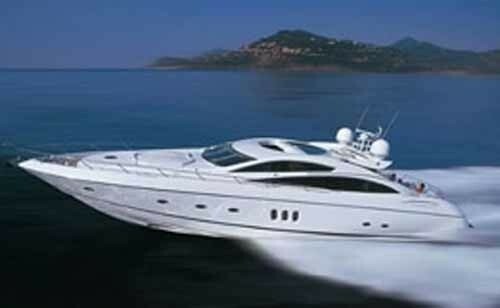 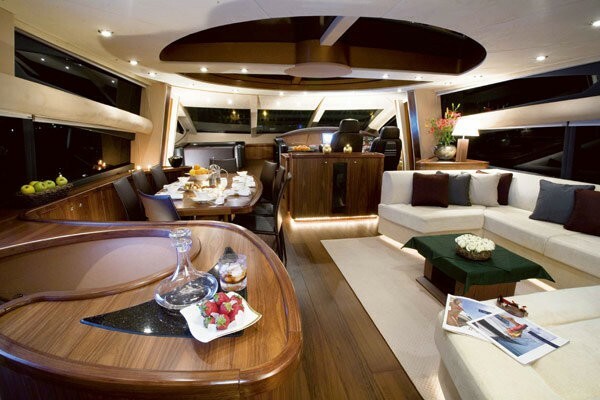 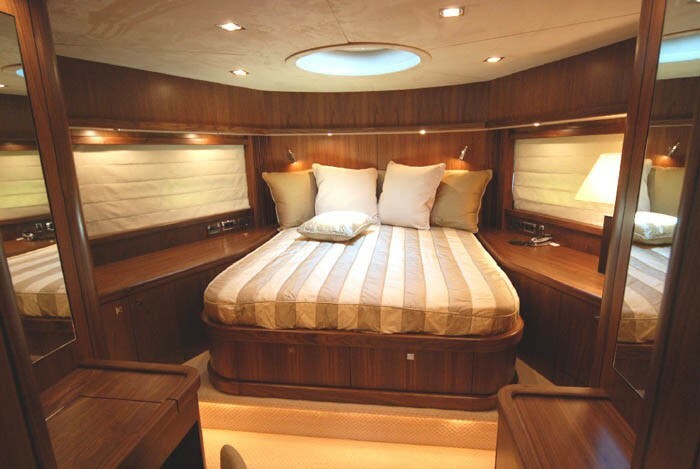 Forward and full beam of the yacht is a VIP cabin, with center lined queen size bed. 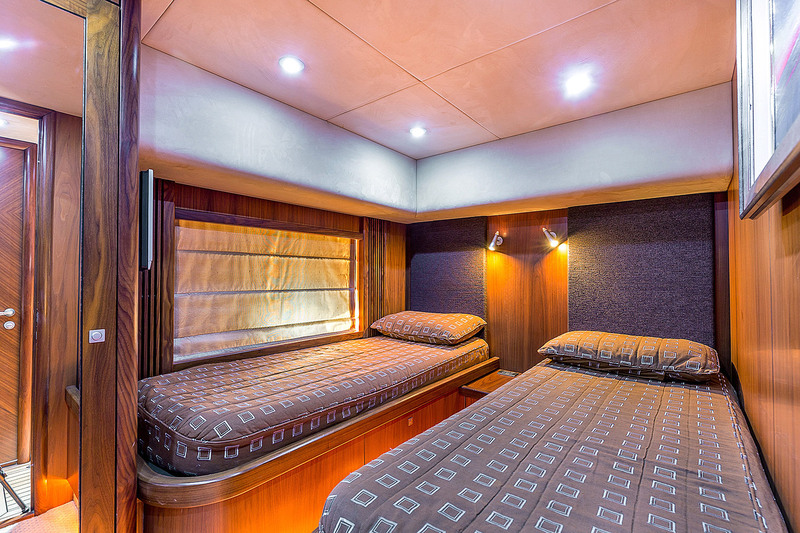 One guest cabin features side by side twin beds, while the other has upper and lower single bunks. 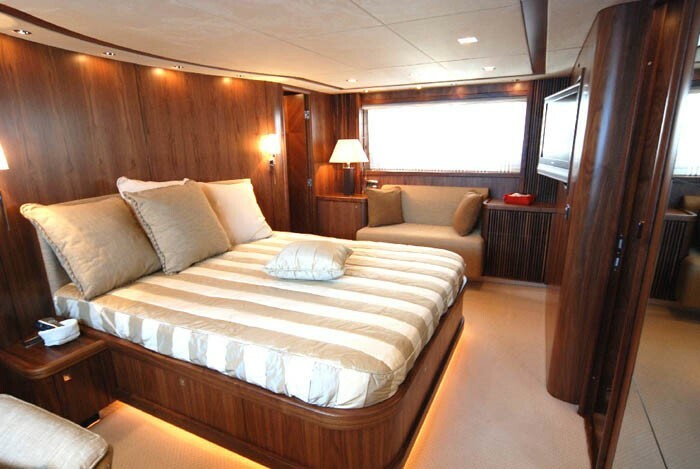 All 4 cabins are fully air conditioned, with individual entertainment systems.